The recently launched RIFT, a big-budget subscription MMO, has been offering a very deep discount for 3- and 6-months subscriptions set up early (the Founder pricing, normally valid for the first 2 weeks after release, which has been extended to the end of March). Discounts for longer subscriptions are the norm in the industry, and such an offer has been proposed before by other games. These limited offer at a very low price are really interesting. 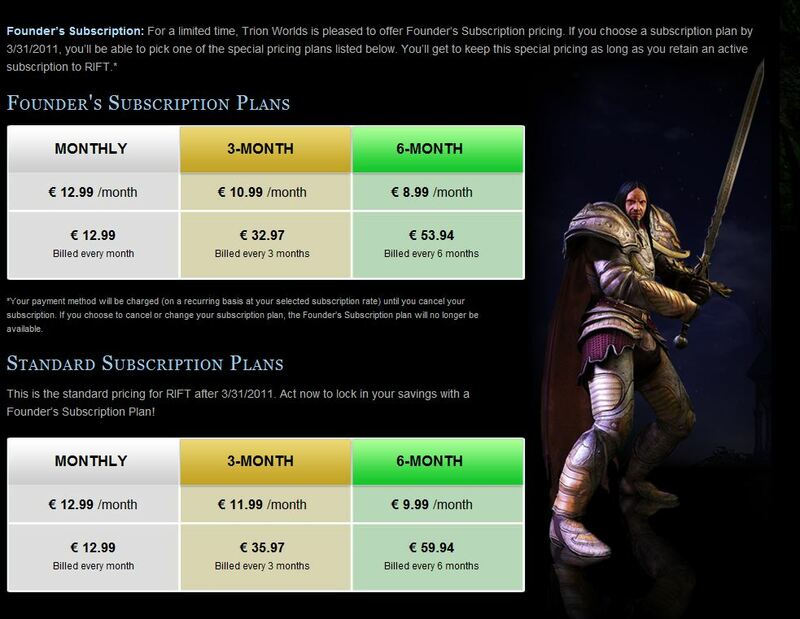 This type of offer, similarly to the « lifetime subscriptions » used by other subscription MMOs (a lump sum, generally available only before or shortly after the launch of an MMO), have an evident goal : trading a part of the profits in exchange for certainty, thus sharing the risk between the operator and the player. If the player loves the game and ends up playing it for a very long time, the studio loses a share of the margin. But if the player leaves the game sooner than what he commited to (the duration of the subscription, or the break-even point in case of lifetime subscription), or if the game closes before that, then the operator has earned more than it should have. In all cases, if cash-flow is uncertain, as it can be really common after a long development, generally over time and budget, and in a context of anxiety about launch results, the cash is more valuable to the studio sooner than later. In addition to this economic risk-shifting game, it is also very probable that the simple fact of committing early to the game by purchasing a long-term plan is a big boost to retention for the early period. Most players are likely to give the game more time, and be more acceptant of bugs and early game issues, if they have paid for 6 months, compared to the situation where the choice they make about committing is at the end of the first month (as is the norm for most retail MMOs, where the first month of subscription is included in the box). Since few MMOs can boast a very smooth launch and first month, these deals are a way for the operators to buy time and entice players to be more patient. I would suspect that long-term subscriptions are more effective for retention compared to lifetime, as there’s the addition of knowing your investment was for a limited time only. Lifetime subscriptions tend to let players think that they can always come back to the game at any point, rather than giving them the pressure of making the most of their investment now. This retention effect is especially striking when looking at Free-to-Play games, which, in the absence of such commitment, have to be very careful in their early player experience in order to hook the players enough for them to keep playing, let alone trying to convert them into paying players. A lot of F2P games shower the newbies with welcome packs, limited-time free mounts, etc. The goal is double : make the early gameplay experience more palatable, but also give a taste of what using the paying items feels like. Similarly, most F2P games will try to make the user pay as soon as possible; social games also often give cash currency away in order to « educate » the player to pay – once « committed », having done it once, they’re much more likely to pay again, as have shown some studies, for example this one by Social Gold (56% of one-time spenders will purchase a second time, 25% three times or more) . For that same reason, first-time currency purchase discounts are also a good idea. Getting players to commit to the game is not only financial : social commitment is also a strong tie. For that same reason, social media marketing campaigns asking players to write favourably about the game on their Facebook wall, on Twitter, etc, in exchange for in-game items or benefits have also probably more than just a viral or social proof effect : once players have publicly recognized they like the game, they are indeed more likely to really mean it. Cialdini, in his famous « Influence » bestseller, called the commitment bias the « hobgoblin of the mind » (after a quote by Emerson) to emphasize the power it has on human psychology. 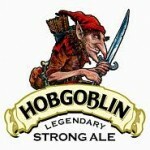 If the hobgoblin can be bought for a few quids, it might well be worth it. *Provided that the games are sufficiently similar to justify price-based competitivity. EVE Online’s subscription Euro price is the highest on the market at 14.95€/month, but I doubt many EVE players would switch to another game in order to save 2€ a month. The subscription pricing is maybe not always thoroughly thought about, with also few games offering price discrimination to those who would pay more, but that’s another story.